On the 46th anniversary of the original Star Trek series, Paramount Pictures has chosen a title for the sequel to J.J. Abrams’ 2009 reboot. Star Trek Into Darkness has been selected as the title of the upcoming 2013 sequel. Paramount has not yet officially announced the movie title but the studio has registered the domain names StarTrekInToDarknessMovie.com and StarTrekInToDarkness.com. We can also confirm that Paramount not only purchased the domain names but the URLS point to the studio’s domain servers. ComingSoon.net were the first to report that the domains were registered anonymously through Markmonitor. The title intentionally does not include a colon or Roman numeral like the one used in the original Star Trek movie sequel Star Trek II: The Wrath of Khan. Star Trek Into Darkness, starring Chris Pine, Zachary Quinto, Zoe Saldana, Karl Urban and Benedict Cumberbatch, will tell the story of the young crew’s next voyage on board the most advanced starship ever created: the USS Enterprise. Kirk and Spock must find a way to stop the new villain, Gary Mitchell (Cumberbatch), whose mission of vengeance threatens all of mankind. On the original Star Trek television series, lieutenant commander Gary Mitchell is a friend of Captain Kirk (Pine) and crew member on the Starship Enterprise who becomes endowed with dangerous extrasensory perception (ESP) powers in Season One, Episode 4. 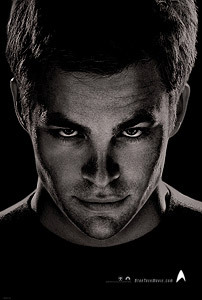 Star Trek Into Darkness is slated to be released in theaters on May 17, 2013 in RealD 3D, IMAX 3D and 2D.